Whether constructed hundreds of years ago or decades ago, these fountains are visions worth seeing. Heres a list of the top 5 most breath taking fountains in the world. 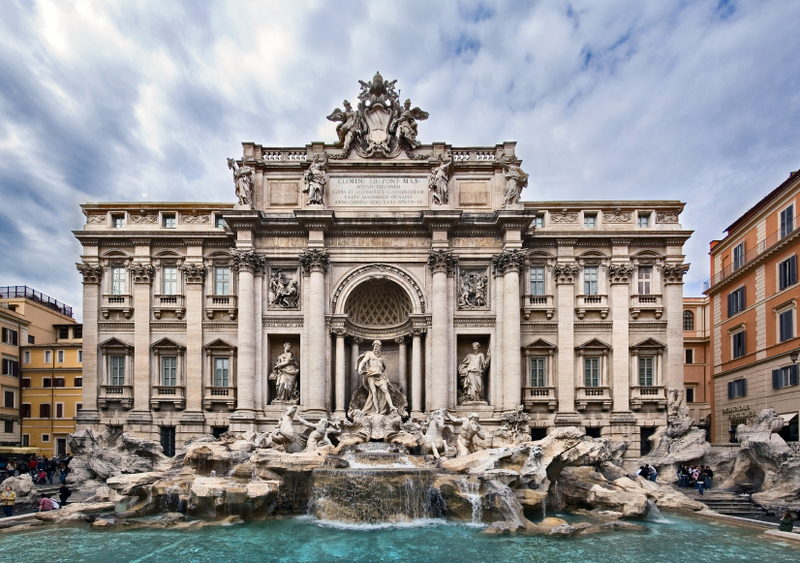 The Trevi Fountain is undoubtedly one of the most famous and beautiful fountains in the world. Its popularity stems from both its timeless elegance as well as its appearances in movies such as Roman Holiday and La Dolce Vita. Designed in 1732, the Trevi Fountain depicts the God of the Sea, Neptune. At his side are two Tritons, each with a sea horse. While one of the sea horses is wild, the other is tame. This is meant to represent the erratic moods of the sea. The Trevi Fountain continues to get its water supply from the Roman aqueduct Acqua Virgine which dates back to the 1st century B.C. It is also believed that by throwing a coin into the Trevi Fountain, you are ensured to return to the Eternal City of Rome. 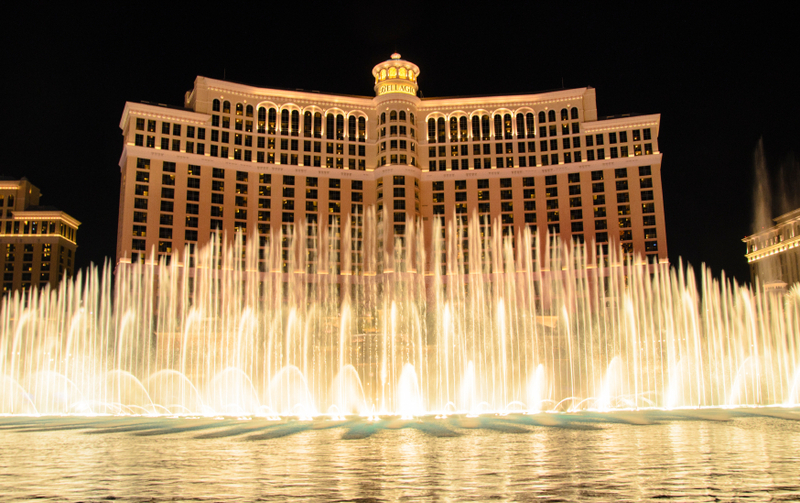 The fountains of Bellagio can definitely be described as monumental. At 8.5 acres in size, these fountains are extremely hard to miss. The Fountains of Bellagio have a tremendous amount of Las Vegas flair. The water jets shoot water up to 460 ft. in the air. The fountain also puts on several shows daily where the colorful lights and powerful jets are choreographed to music, including songs from Michael Jackson, Elvis, Frank Sinatra and the Beatles, among others. 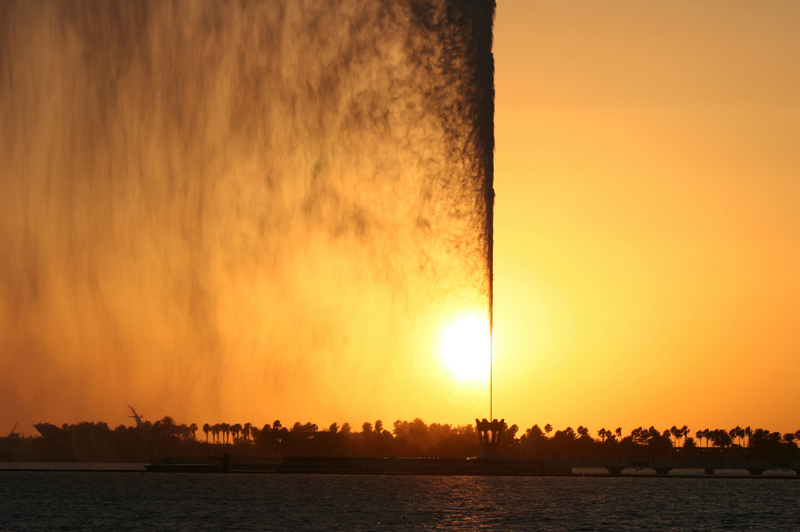 King Fahds Fountain is the tallest of its kind in the world. Sitting on the Red Sea, the maximum height of this fountain ranges between 853 and 1,024 feet. To put it in perspective, that is about as tall as Paris Eiffel Tower, which stands at 986 feet. King Fahds Fountain began operating in 1985. It uses over 500 spotlights to light up the spectacular stream of Red Sea salt water that is shot into the air. The Montjuic Magic Fountain was constructed in 1929 for the Barcelona International Exposition (aka the 1929 Worlds Fair). This fountain truly is magic with 1,620 water jets and 4,760 lights incorporated in the design. In the 1980s music was introduced in the fountains show. 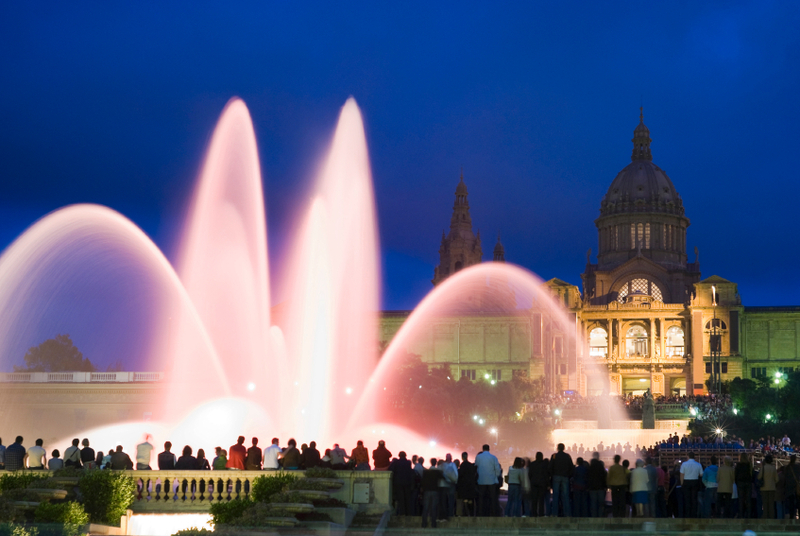 Today, the Montjuic Magic fountain is choreographed to a wealth of classical, film and modern music. The Fountain of Wealth is Earths largest fountain. Its base is 1,683 square meters, or around 18,115 square feet, in size. It is also located underground, where the only visible feature from ground level is the enormous bronze ring from which the water flows. The bronze ring of the Fountain of Wealth was designed based off the Hindu mandala. The mandala is symbolic for oneness and unity. For Singapore, it represents equality and harmony of all races and religion in the country. Surrounding the Fountain are 5 towers. These are meant to represent the fingers of a hand, making the Fountain of Wealth the palm. These 5 famous fountains are beautiful pieces of art. 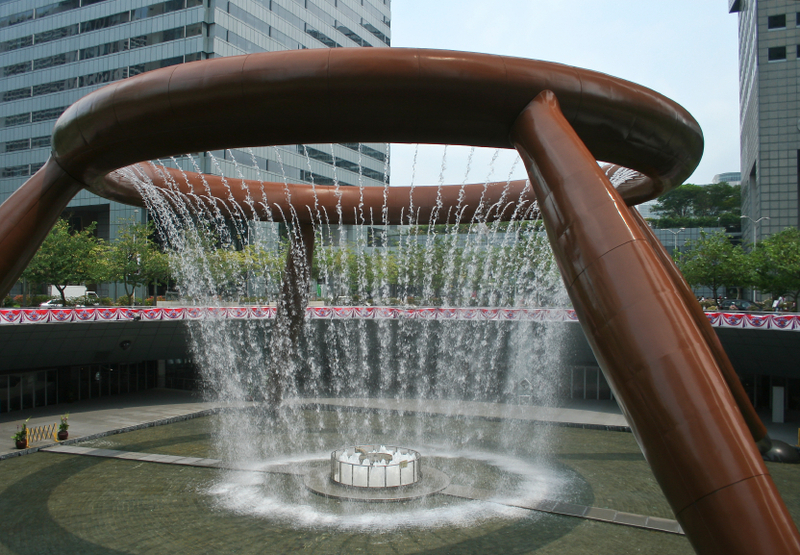 To see more stunning fountains, check out our gallery.